Germany was a latecomer to the colonial world of the late nineteenth century but this history of German colonialism makes clear the wide-reaching consequences of Germany's short-lived colonial project. 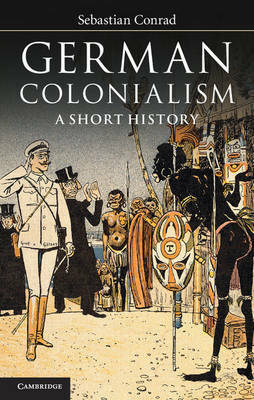 Sebastian Conrad charts the expansion of the empire from its origins in the acquisition of substantial territories in present day Togo, Cameroon, Namibia and Tanzania to new settlements in East Asia and the Pacific and reveals the colonialist culture which permeated the German nation and its politics. Drawing on the wider history of European expansion and globalisation he highlights the close interactions and shared vocabularies of the colonial powers and emphasises Germany's major role in the period of high imperialism before 1914. Even beyond the official end of the empire in 1919 the quest for Lebensraum and the growth of the Nazi empire in Eastern Europe can be viewed within a framework of colonialism whose effects resonate to the present day.